Click here to contribute to our Synagogue project. Thanks! Beit Simcha (meaning “House of Joy”) Messianic Fellowship was founded in 1992 and incorporated in 1996. 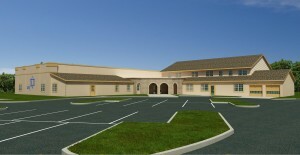 Our vision statement is: “We are a community, welcoming Jews and Gentiles, rejoicing, worshiping the God of Israel, learning and loving one another.” Our vision is the core motivation for our building project, creating both a Synagogue and a Community House that welcomes Jews and Gentiles to rejoice and worship the God of Israel with us. We want to remove barriers between people and to extend a bridge between people and God. The new Synagogue will enable us to create a comfortable space where we can expand our current worship services and fellowship events. We are looking forward to continuing Shabbat (Sabbath) morning service with our after-service oneg (delightful luncheon) and afternoon classes. In the new building, children and youth will have their own classrooms for nursery and Shabbat School. Other opportunities to gather are now in the planning stages: Erev Shabbat (Friday Evening) services as well as Saturday evening events featuring special guests, food and fellowship. Once we are in our own building, we expect to celebrate the Jewish feasts and holidays in bigger and more creative ways. Praise and worship can come from our new building on any night, even weekdays. Beit Simcha is in the Lehigh Valley to bless the community. Our new building will be available for community events, activities for children and youth, a food pantry for the poor, and a Judaica shop. All of these will focus on sharing the love of Yeshua (Jesus) with our local community and beyond. The Community House will enable us to be more intentional in our vision for community, welcoming others to experience Erev Shabbat dinners, havurah (small groups), prayer, Bible study, and morning prayer services– all to be held in a common room attached to the Community House and open to the public. Residents of the Community House will be members of Beit Simcha in good-standing, filled with the Ruach (Holy Spirit) and committed to the vision of hospitality and community. These very special people are covenanting to participate regularly in the House activities, to welcome others into their lives in addition to maintaining the House and surrounding premises. For many years (since the 1980’s) God has been building the vision of communal living in Messianic Rabbi Glenn Blank’s heart. While completing his PhD and living in a community house called “The Mansion”, Rabbi Blank met his wife, Pamela. The Mansion modeled the lifestyle of the early Jewish and Gentile believers of Acts. Residents held common agreement in Biblical values and standards. They regularly gathered together in spiritual commitment to prayer, Bible study, and good works. Together, they tackled the practical responsibilities of maintaining the building, preparing evening meals, cleanup, etc. As “iron sharpens iron” the residents of The Mansion experienced tremendous spiritual growth. They became open and vulnerable to one other, sharing their lives with a freedom that could only come from the Ruach. Those living in The Mansion made lifelong friends and even a few marriages. This same vision from the believers of The Book of Acts and residents of The Mansion will extend to our future community house enabling tremendous spiritual and congregational growth. Thanks be to God for the many gifted people He has already brought together for this project.